*We were fortunate this afternoon when the rain let up for about 45 minutes or so, and Paul and I, with about 30 or so KHS Students who were NHS members, and part of the Leadership Class, were driven out to the Smelterville exit, and we split into two groups and walked along the highway picking up garbage. 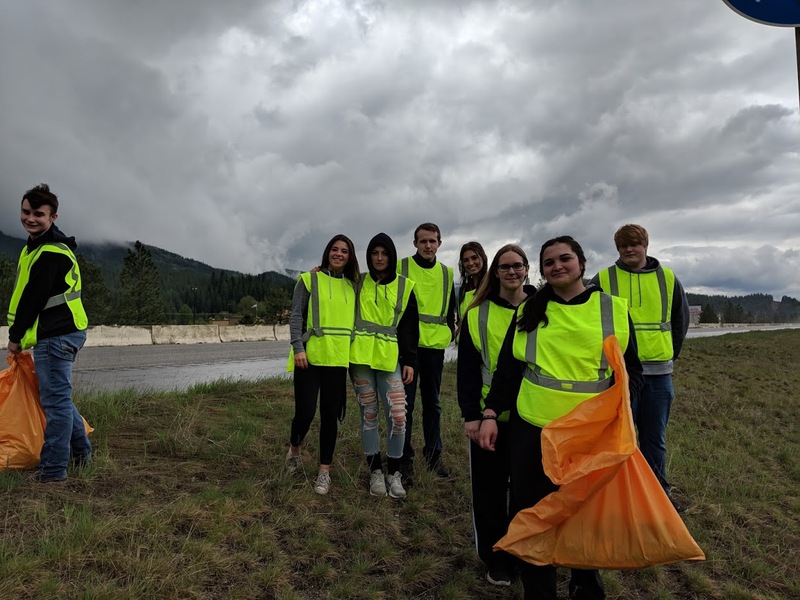 Kellogg High School adopted the section of highway between Smelterville and Pinehurst to clean up, and we always try and take a group of students to clean up in May, when the weather is a little better. We lucked out today. Apparently the whole time we were between Smelterville and Pinehurst, it was raining pretty hard in Kellogg. The students did a great job cleaning up!! *This week is Teacher Appreciation Week. The KHS staff have been treated all kinds of ways, including a nice succulent plant in a personalized pot, a bag of treats from the district office, and a cool purple wildcat mug and lanyard from our principal Curt Bayer. *I spent some time making plans for the upcoming special weekend. Cosette will be graduating from the University of Idaho on Saturday, and our whole family will be together, along with my sister Christy. I am looking forward to a great weekend! !